Writing the first post of a new blog is always a little scary. It seems like there’s too much to say, and only so much attention to go around. Do I do a full-on introduction? Just dive right in? Sit on the fence? I think I’ll opt for that third choice – a tiny introduction and then on to the post. This blog is called HappySimple, which should be fairly self-explanatory. You want to be happy and I know some simple ways to get there. And while this may occasionally be a blog about how to make your life better: how to do things easier, quicker or maybe not at all, it won’t ever be about how to make yourself better. Because the whole notion of self-improvement makes me nervous and even a little angry. Who says we’re not good enough just as we are? Who says we need to improve? Besides, all that time spent improving is time not spent enjoying life, appreciating what you’ve got and generally having a good time. We have this idea that when we lose those ten pounds/read those important books/lose that annoying habit, that then somehow we will be deserving of our lives and this great big old world we live in. 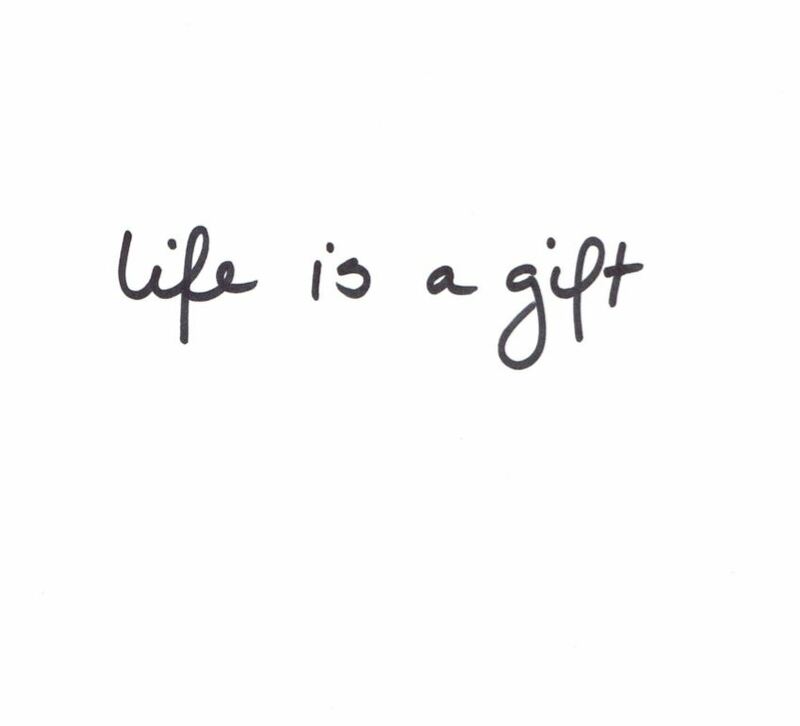 Well, here’s the radical thought: life is a gift. Whole and complete as it stands now. And you will never deserve it any more than you do right now in all your weirdness and wonder. So relax. Enjoy. You may still decide to lose that weight/read those books/lose that habit. I’m just hoping it’s for the right reasons. Like, life is really cool and you’d like to stay healthy and enjoy it longer. Or you’re curious about a lot of things and know that reading more will answer at least some of your questions. Just not, please, because you are loathesome as you are right now and won’t allow yourself one moment of enjoyment until you become someone else. When did YOU start playing a Stratocaster !? Y’aw bin hodin’ OUT on us !! Wow, great blog Barb. I miss you like crazy. I miss you too, sweetie. Hang in there! Well put! I try to improve in some way daily but try to never lose sight of how great my life currently is. Just having the ability to try to improve is awesome by itself.